This is the ebay photo. The Pavoni wasn’t in horrible condition. Gaskets were dried out and the base was quite corroded. 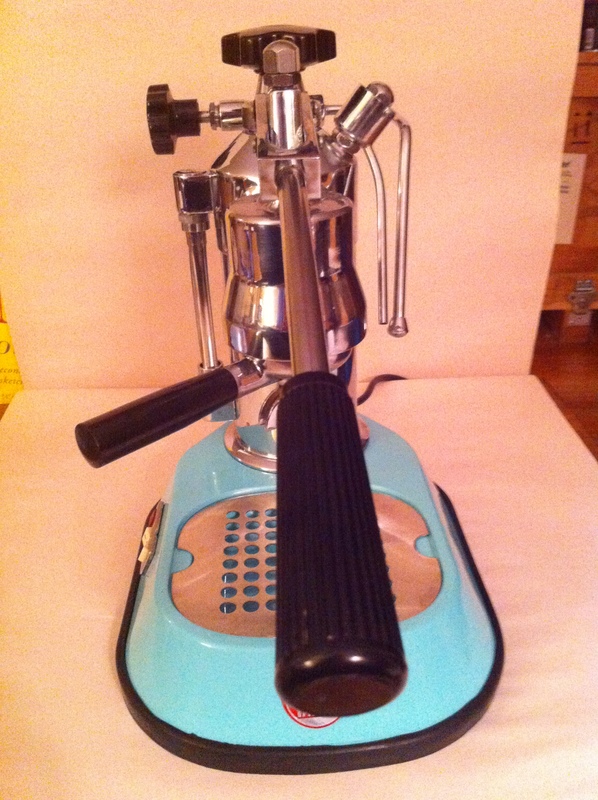 The 73/74 La Pavoni’s have an aluminum base. Inside looks good and a quick descale would be sufficient. With the base corroded I decided to strip down the entire machine and send the base off for powder coat and blasting and restore the machine with all new gaskets. Pictures are great for the wiring, these elements are impossible to replace new (requires some work, hopefully show this on another parts machine in a future post). 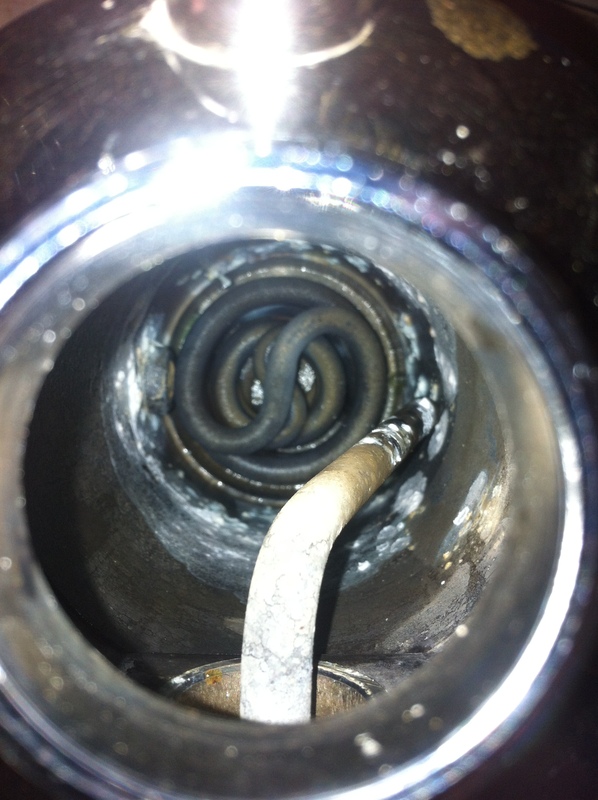 The heating element is off and we are looking inside the tank from the bottom. I used a oil filter wrench to remove it. Notice the brass ring holding the boiler to the base. This presents a challenge. Option 1 if the boiler isn’t seating incredibly tight you might be able to remove it with the oil filter wrench but it has very little surface to grab on due to the sides of the base. Option 2 is to get a spanner, since I did not have a lot of metal tools handy this was out for making. Now I know some machine shop people who could make one up for me. Option 3 was to put two pins in a vise and then drop the machine on top and turn. This actually worked! There are two paper gaskets here. These will be replaced. 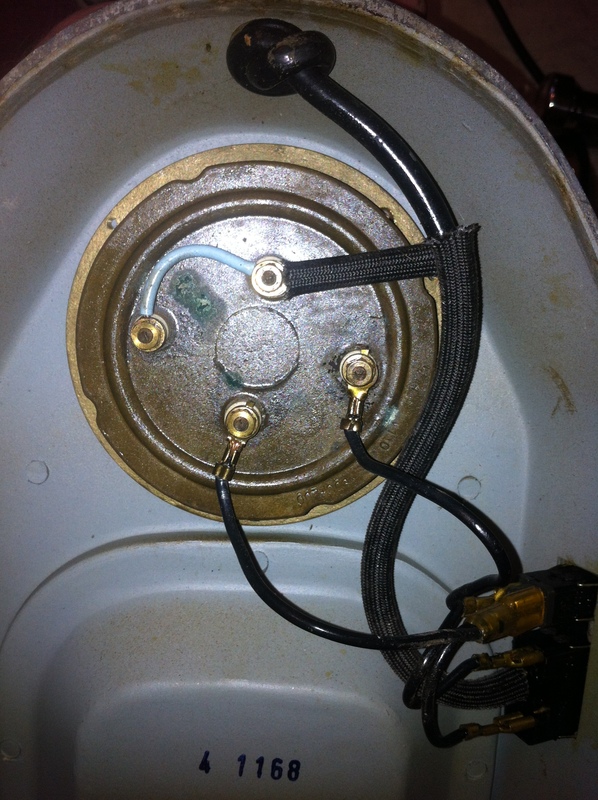 They do not provide any water tightness to the machine, just apparently for the boiler to not fuse itself to the base. 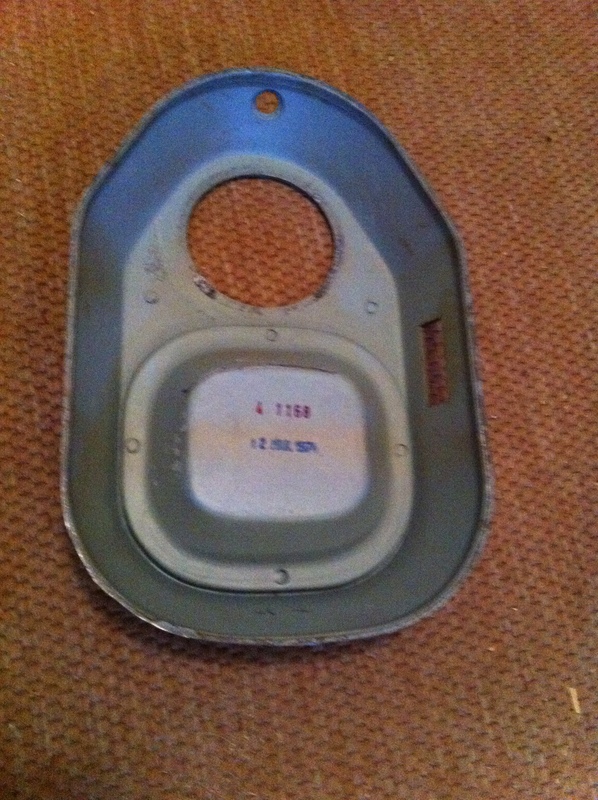 The base with everything removed and ready for blasting. 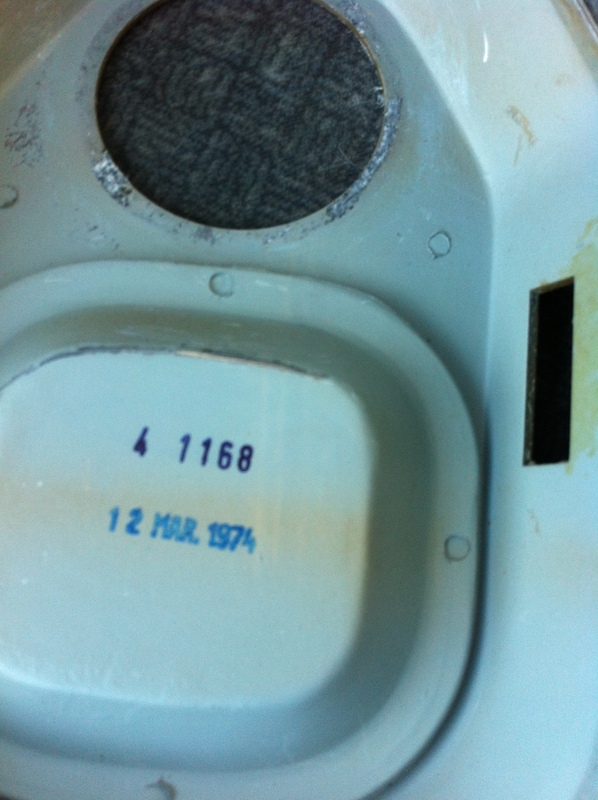 It is difficult to see the corrosion but it is mainly on the bottom where it met the rubber base. More would be found when blasting it. The date can be seen here, 12 Mar. 1974 These are rare machines as the group head screws into the boiler without a flange. Newer La Pavoni’s use a flange (a later post will show a 77 rebuild). 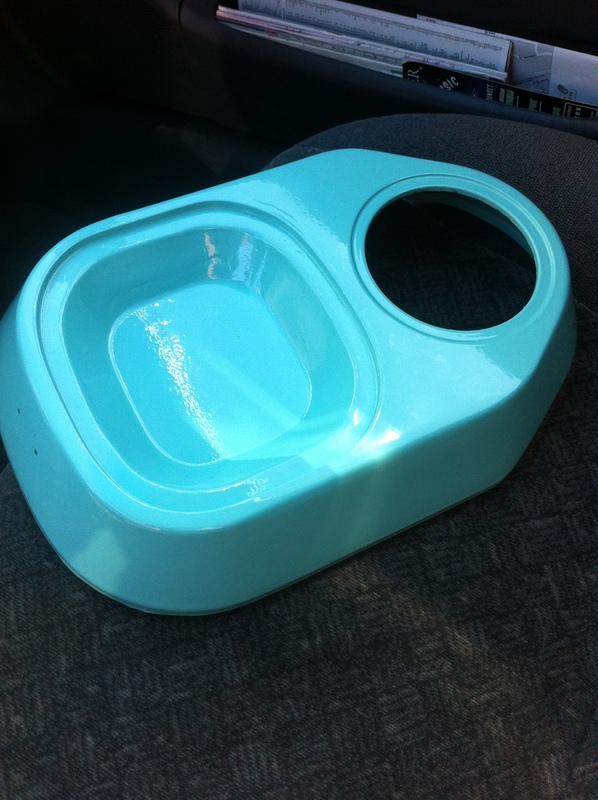 Freshly back from the powder coater in Sea Foam Green (a left over color he had from a previous project). If you are in Denver, Lee at Pristine Powder Coating does great work big or small. All the parts and pieces set out for assembly. All new gaskets were purchased from Orphan Espresso. 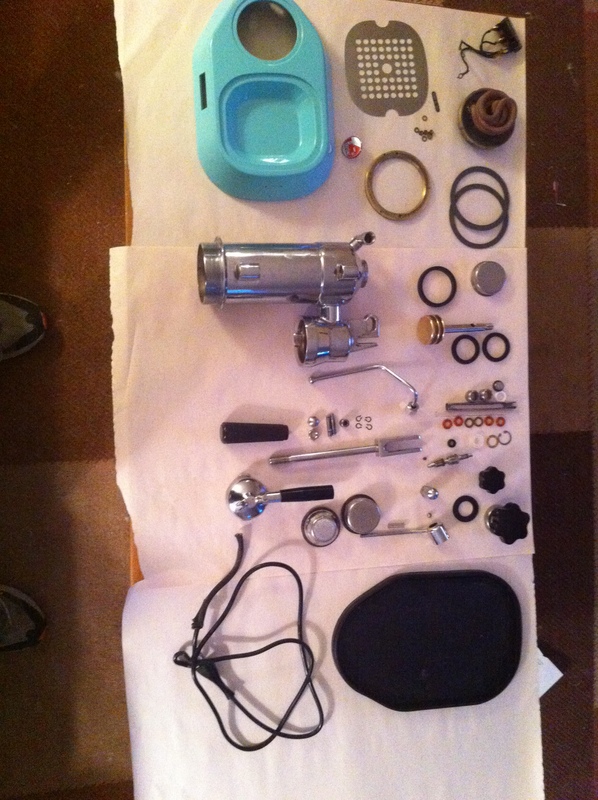 Espresso Care also is a great source for La Pavoni parts. I have used them both and they provide great service. The assembly is the reverse of taking it apart. There are several sites that show the group head rebuild and I do not have much to add. Go light on the food safe grease. It is wise to have a correct sized screwdriver to take apart the sight glass screw or it will get all munged up. Later I added a teflon safety valve kit from Espresso Care. The wiring was in good condition on this one so I reused it and connected it back the way it was when I took it apart. Always unplug the La Pavoni when finished. This prevents the accidental over toasting of the heater element which is difficult to repair. After unplugging we remove the base if steamed milk or water went down the sides. Even a powder coat can fail if left soaking in a pool of water. 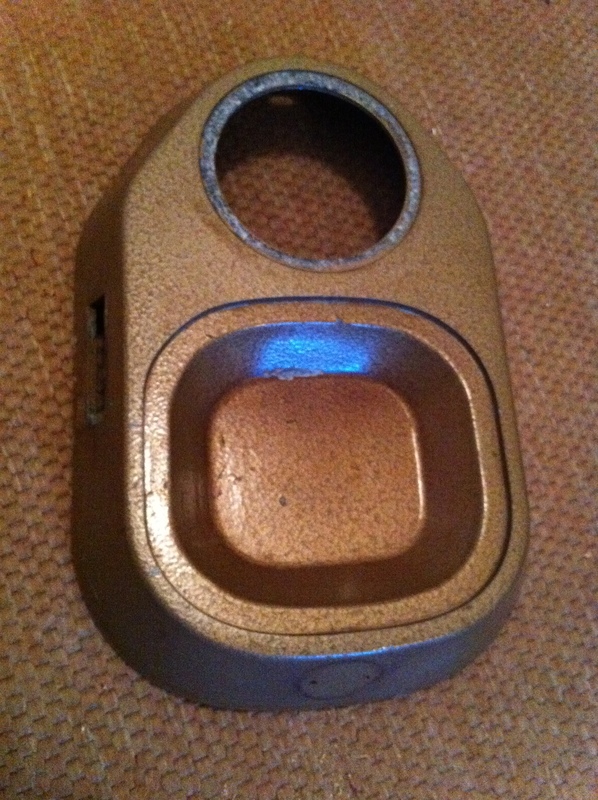 One option would be to run a bead of silicone around the base to prevent water from dropping down inside the base. This is why you see the bases of old machines corroded. Never run the La Pavoni or plug it in without the base on! There is a live electric under there! Never remove the cap until the unit is cool or you can severely burned! That boiler is under a lot of pressure. 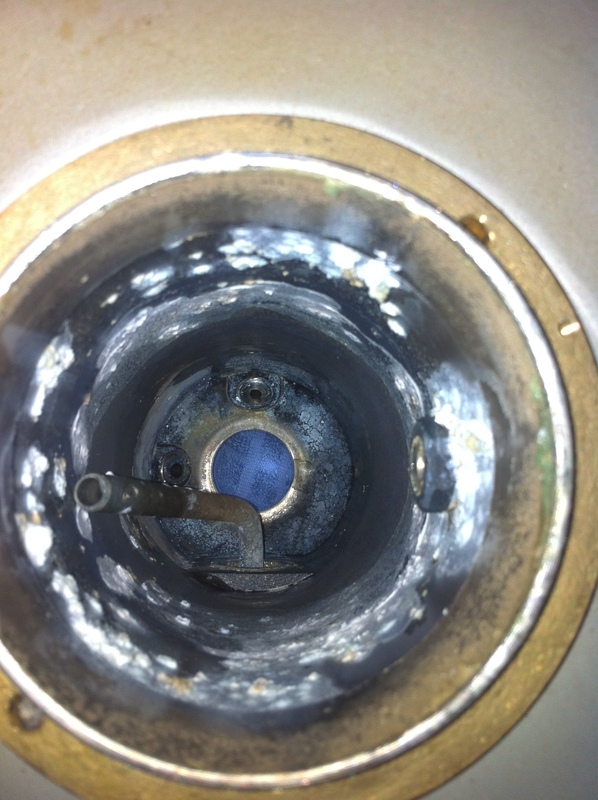 Make sure it is cool and there is not steam pressure by opening the steam wand valve. Always wait for the pressure to relieve itself through the portafilter before removing or you can get burned here as well. Coffee can explode out on opening the portafilter and it makes quite the mess. If you bricked it by too fine a grind, just shut it off, let it cool then remove the porta filter. 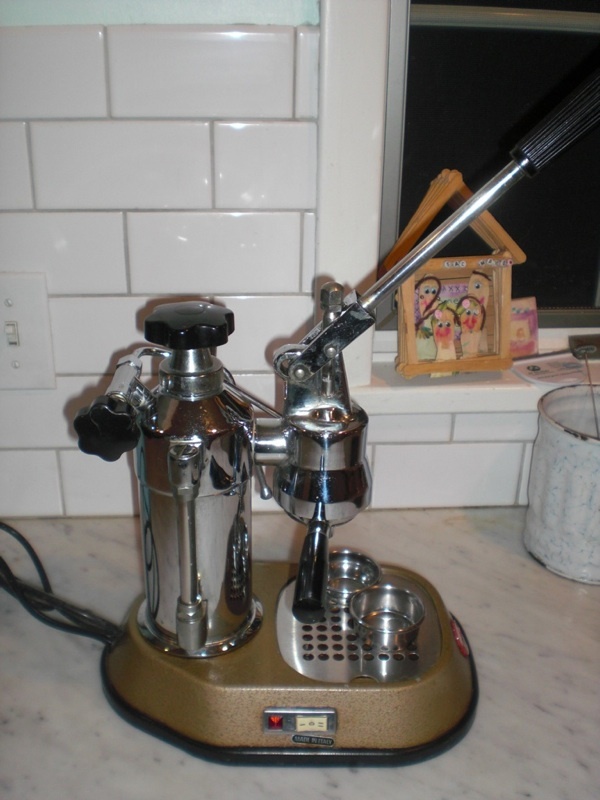 Respect the La Pavoni and it will not hurt you, skip common sense and you are at its mercy.